Hundreds of firefighters hailing from Australia and New Zealand have been shipped into California to assist crews in fighting one of the largest blazes in the state’s history. According to the U.S. Forest Service-Pacific Southwest Region, the teams arrived in Redding on Monday. Cal Fire has stated that the Carr Fire, which has engulfed huge areas of Redding and the broader Shasta County, has decimated some 1,600 structures, and continues to rage across the region. The fire was 47 percent contained as of late Monday, after it destroyed over 160,000 acres of land. Specialist reinforcements were drafted in as exhausted Cal Fire personnel desperately try to contain the 16 enormous infernos currently burning across California. Seven people been confirmed dead in the Carr Fire, with thousands losing everything in the blaze. “Battling these relentless fires requires a Herculean effort,” California Gov. Jerry Brown wrote in his request to President Donald Trump for a presidential major disaster declaration. The request has since been approved by the White House. “Assistance can include grants for temporary housing and home repairs, low-cost loans to cover uninsured property losses and other programs to help individuals and business owners recover from the effects of the disaster,” the White House said of the aid the government will be providing, according to Business Insider. 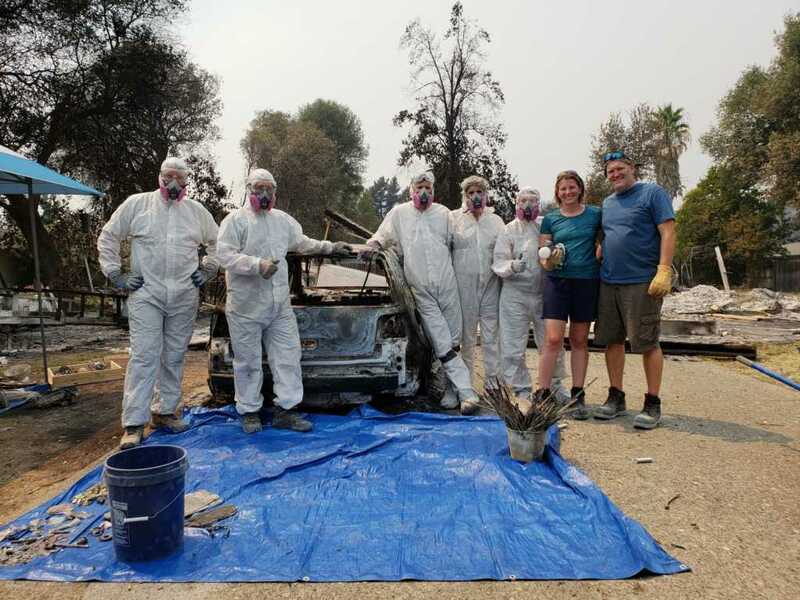 As residents return home to Redding, the local Bethel Church congregation continues to serve its community by hosting a Red Cross aid distribution hub, as well as taking residents on “Ash Outs” — helping them recover valuable items from the rubble and ashes of their former homes. Yesterday, the church took to social media to appeal for more volunteers. Officials believe that the catastrophic fire was caused by something seemingly insignificant: a flat tire. When a trailer tire blew out on a road outside Redding last month, the trailer’s rims scraped the asphalt and sent sparks flying into the surrounding shrubbery. According to CNN, this ignition set the course for the fire to start raging up Highway 299 and, eventually, sent it hurtling toward residential areas. But the fire is not done yet. According to Cal Fire director, Ken Pimlott, fire season is only just getting started. Keep praying for the fires to recede, and for God’s comfort upon those who have lost everything.